Rex Factor: Live Tour – Last Chance for Tickets! 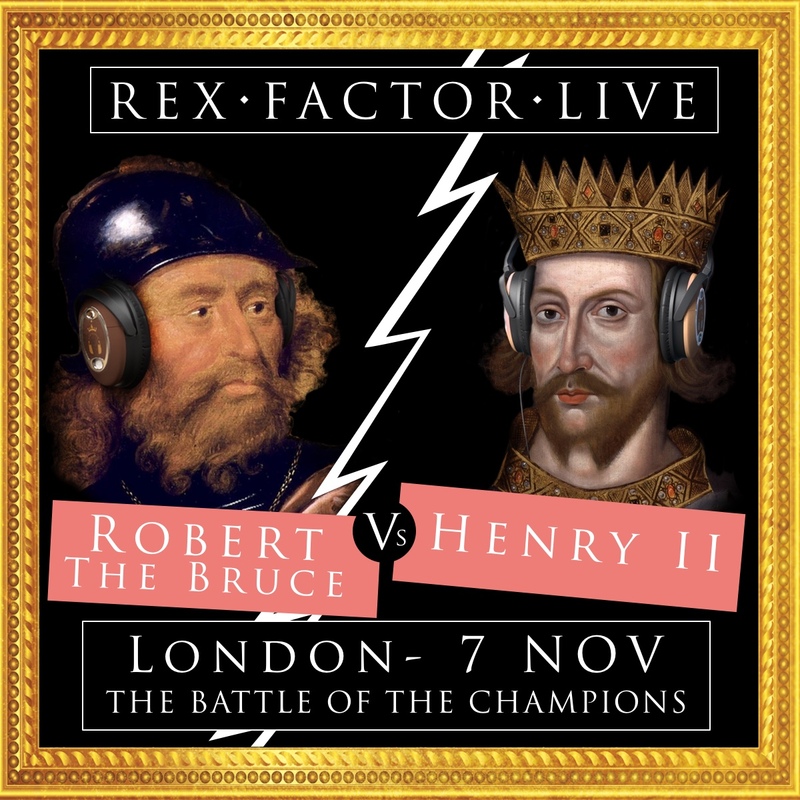 In London, it will be The Battle of the Champions as the winner of English Rex Factor (Henry II) takes on the winner of Scottish Rex Factor (Robert the Bruce). 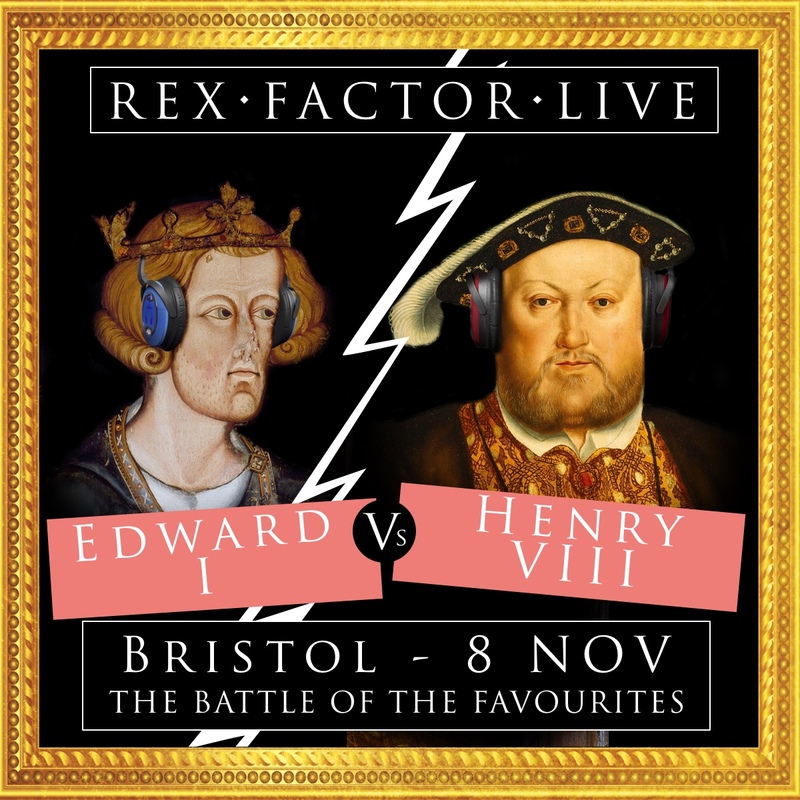 Two powerful medieval rulers, the top scorers from each series of Rex Factor, but who is the ultimate Rex Factor champion? The London date is sold out, but you can still buy tickets for Leeds, Manchester and Glasgow here. Things get personal in Bristol for The Battle of the Favourites. Ali’s beloved Edward I takes on Graham’s top dog, Henry VIII. Two of the most powerful rulers in English history, both highly controversial and unlikely to be winning the Nobel Peace Prize any time soon, but who will the audience pick as the greatest of the favourites? The Bristol date is sold out, but you can still buy tickets for Leeds, Manchester and Glasgow here. 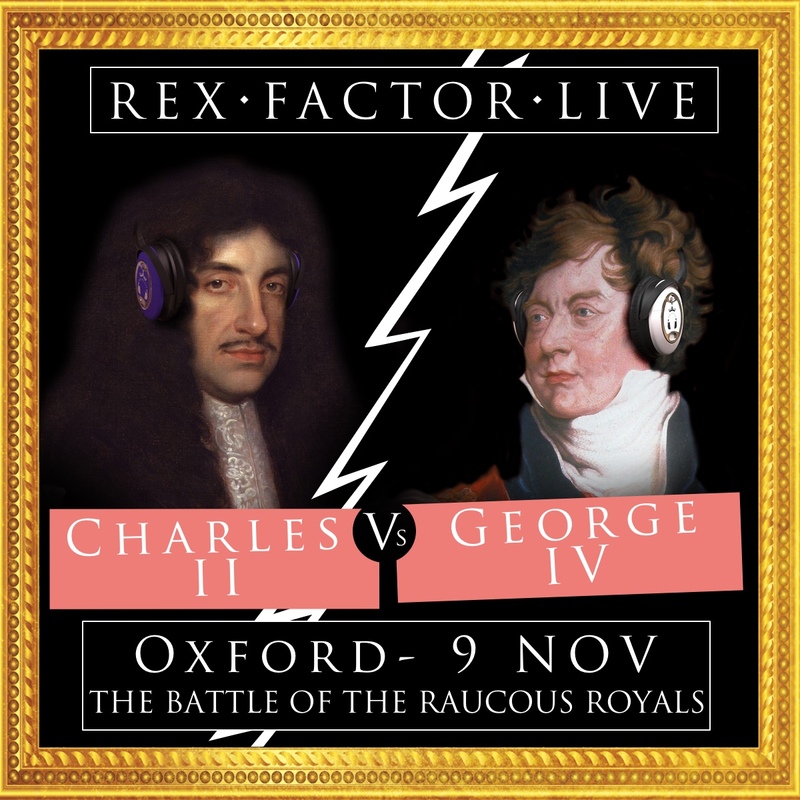 It’s party time in Oxford as we have The Battle of the Raucous Royals. The Merry Monarch, Charles II, takes on the Prince Regent, George IV. Some people prefer the kings who lead their armies in battle, others prefer those who champion justice and reform, but for a lot of people it’s all about the scandal, and it doesn’t get more fun that these two. But who is the ultimate party king? The Oxford date is sold out, but you can still buy tickets for Leeds, Manchester and Glasgow here. 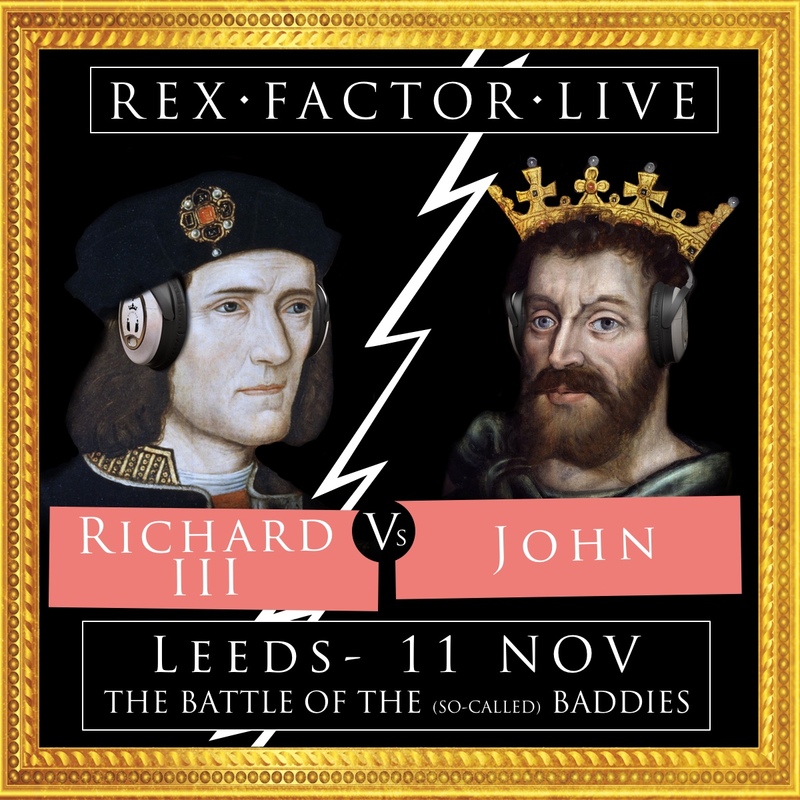 You can’t have heroes without villains, so in Leeds we are having The Battle of the (so-called) Baddies, with bad King John taking on Richard III. Both are the villainous subjects of plays by Shakespeare, both notorious for tales of murder and depravity, but who is the biggest baddie of all? Or are they really baddies at all or victims of propaganda – will we crown the anti-Rex Factor champion or rehabilitate an unfairly maligned king? Tickets are still available for the Leeds date, so please do come along and help us pick the winner (or loser, perhaps!) The Leeds show is also open to under-18s accompanied by an adult, so this is a good one for younger fans of the podcast or a family night out! 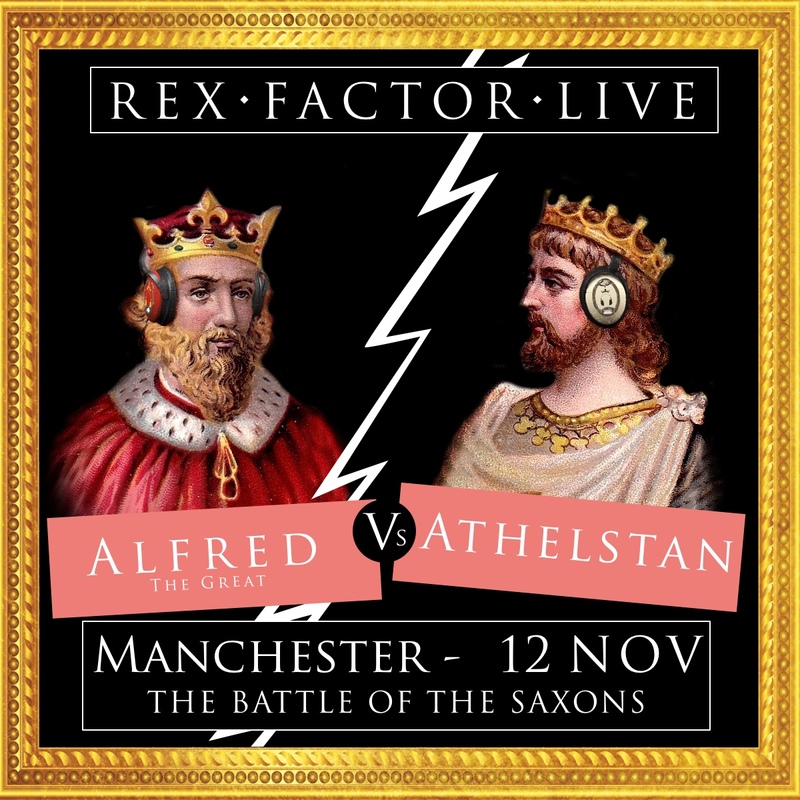 We go back to the very beginning in Manchester with The Battle of the Saxons. Alfred the Great is the more famous name, credited with saving England from the Vikings, but arguably his grandson, Athelstan, was the first real king of all England and a much more powerful ruler. So, who is the real founding father of England and who truly deserves to be remembered as “the Great”? Tickets are still available for the Manchester date, so please do come along and help us pick the winner. 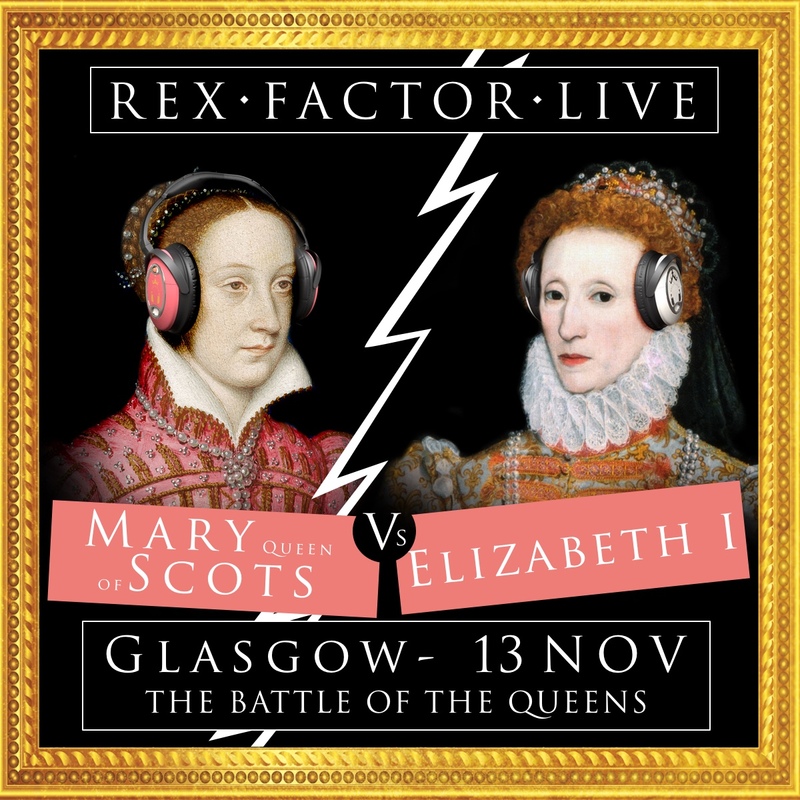 It’s England vs. Scotland in Glasgow with The Battle of the Queens where Elizabeth I of England takes on Mary Queen of Scots (of, well, Scotland). The only one of our battles where the two monarchs were actually contemporaries, Elizabeth and Mary are two of the most famous figures in British history, both having to navigate plots, religious tensions and the pressures of being a female ruler in a male world. They faced off (metaphorically) in their own time, but which of these incredible personalities stands out most in history? Tickets are still available for the Glasgow date, so please do come along and help us pick the winner and finish the live tour in style! This entry was posted in Live Show by rexfactor. Bookmark the permalink.